The day we are commemorating seems far away, yet actually it did not begin in history and has never come to an end. For it began with history itself and is still present in our own life today. 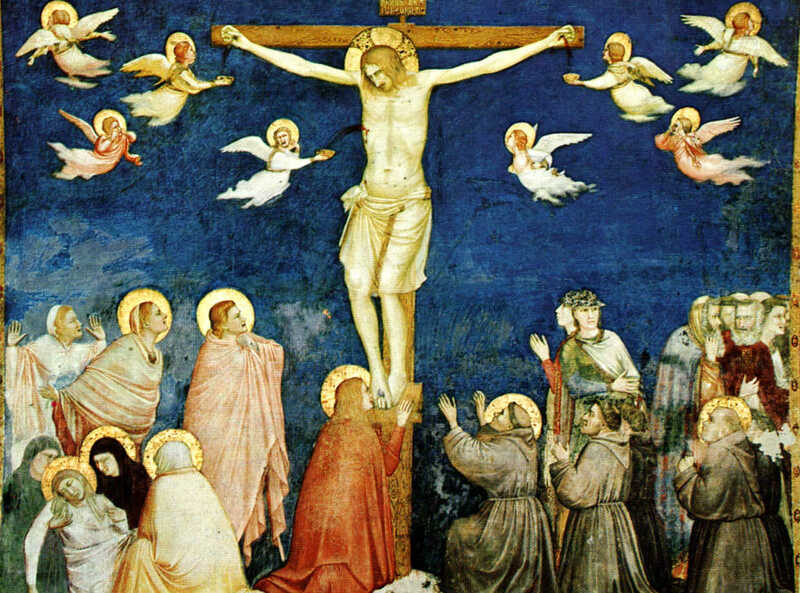 For what finally comes to light in the darkness of the first Good Friday is, in the words of St. Paul, the ever-valid and ever-new scandal and folly of the cross, though the apostle adds at once that this is the wisdom and power of God for those who believe. True, we do not always feel this. It is even a good thing that we realize our condition only rarely, else we should not be able to bear it. But on this Good Friday we ought to consider of our own free will the terrors of life, so that we may stand fast when we must face the abyss and endure it. For we all are gathered round the cross of the Crucified, whether we look up to him or try to look past him, whether we are at the moment quite gay and happy (this is not forbidden) or frightened to death. We are standing under the cross, being ourselves delivered to death, imprisoned in guilt, disappointed, deficient in love, selfish and cowardly, suffering through ourselves, through others, through life itself, which we do not understand. Of course, if we are quite comfortable we protest against such a pessimistic outlook which wants to take away our joy in life (which is quite untrue); when we are vigorous in body and soul we refuse to believe that this will not last for ever. Yet we are always under the cross. Would it not therefore be a good thing to look up to him whom they have pierced, as Scripture expresses it? Ought we not to admit what we have suppressed and to want to stand where we actually do stand? Surely we ought to have the courage to let our heart be seized by God’s grace and to accept the scandal and absurdity of our inescapable situation as “the power of God and the wisdom of God” by looking up at the Crucified and entering into the mystery of his death. Many certainly do this without being aware of it by their way of life which accepts death in silent obedience. But we may also fail to do this. Hence it is better expressly to celebrate the Good Friday of the Lord by approaching his cross and speaking his last words with him. They are quite simple; everyone can understand and say them with him. This is the abyss of existence into which we fall. And we believe that there dwell love and life themselves. We say, Father, into your hands I commend myself, my spirit, my life and my death. We have done all that we could; the other, the ineffable that is salvation, will come too.